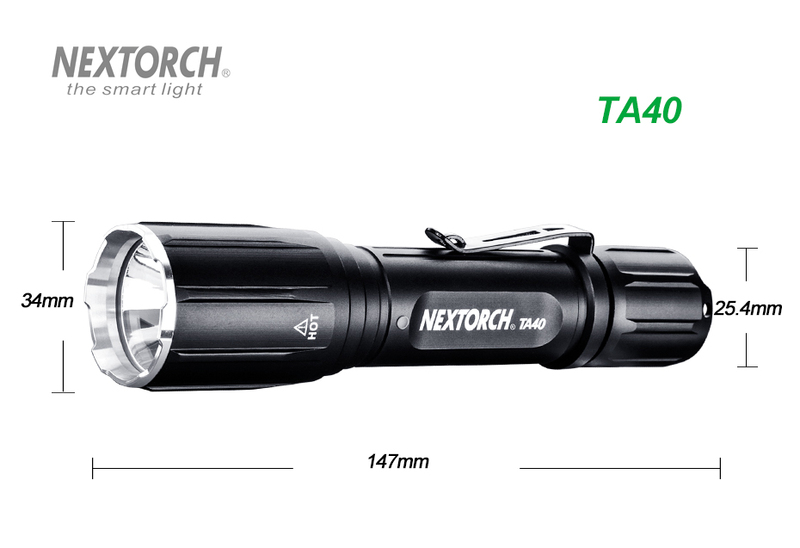 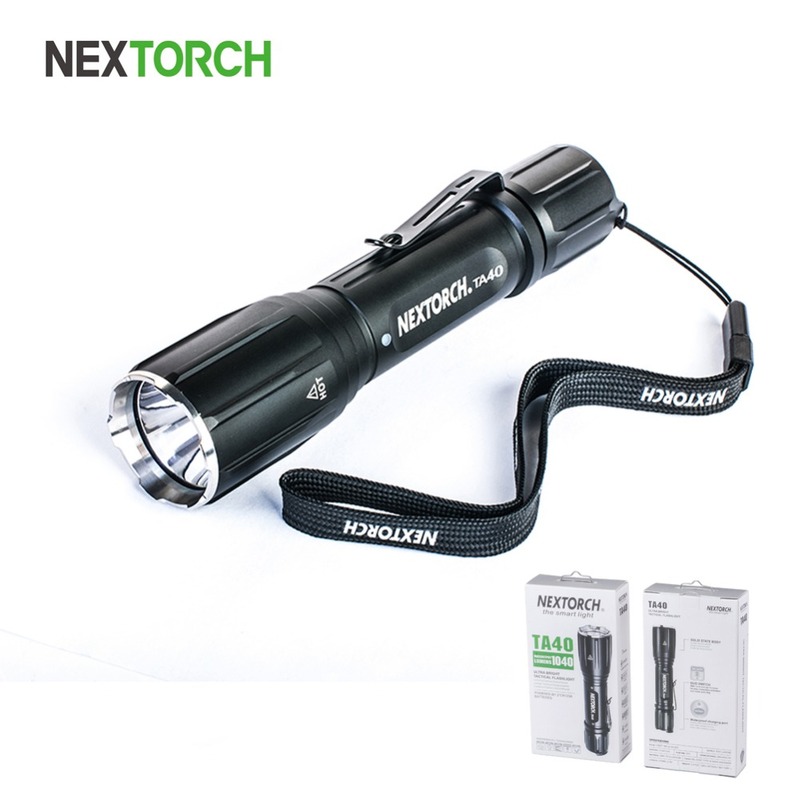 The TA40 is NEXTORCH’s newest 1040 lumen ultra bright flashlight model, successor to the brilliantly crafted TA4,a quality standard, and advancing to higher standards in brightness. 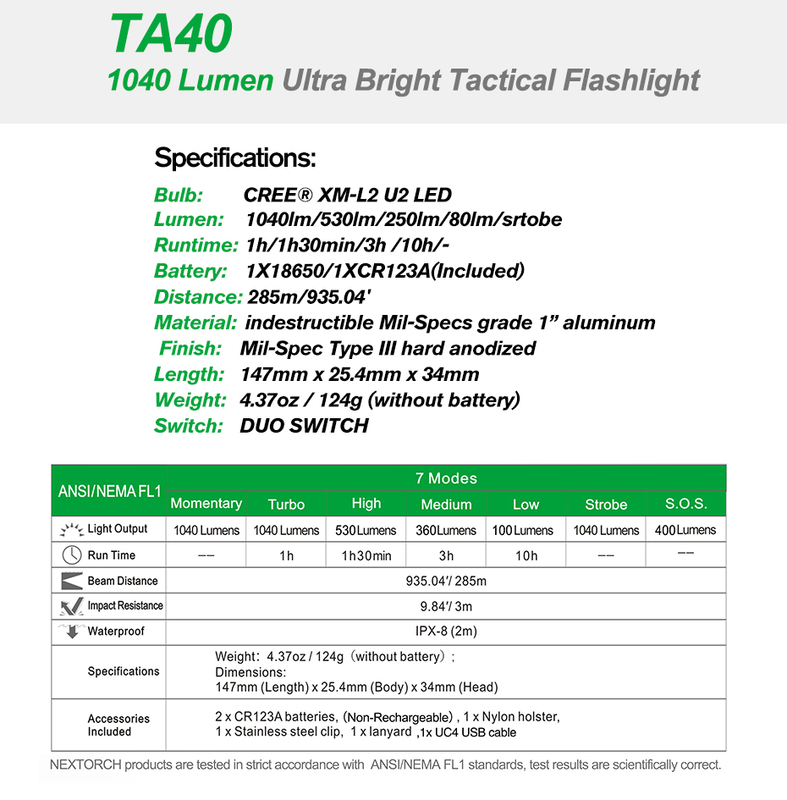 The TA40’s highest beam delivers 1040 lumens, much more than other similar tactical flashlights. 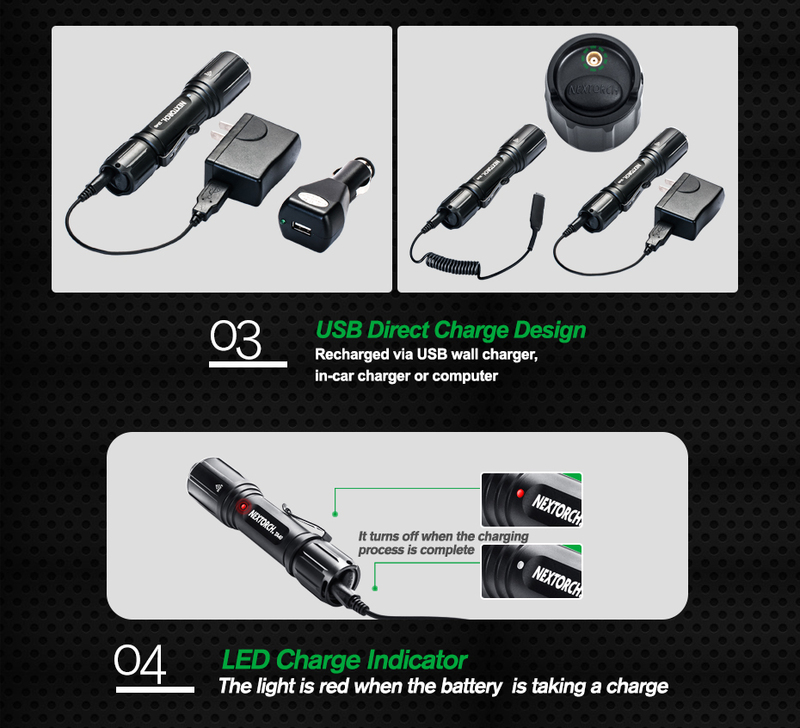 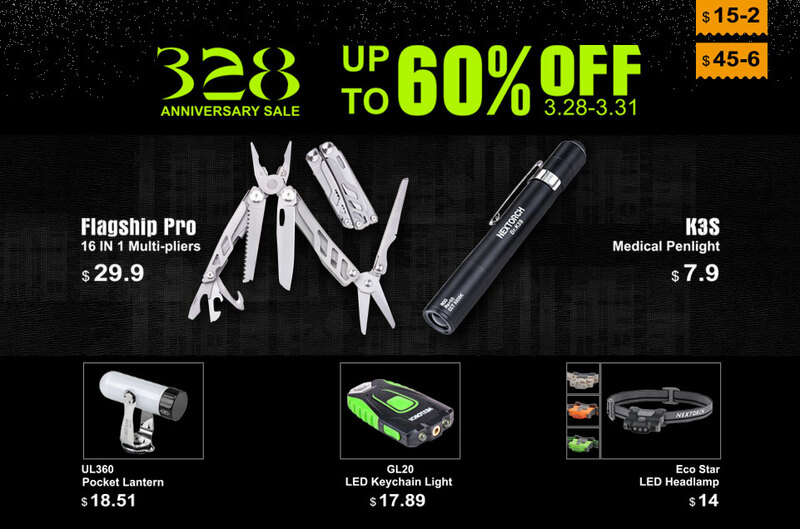 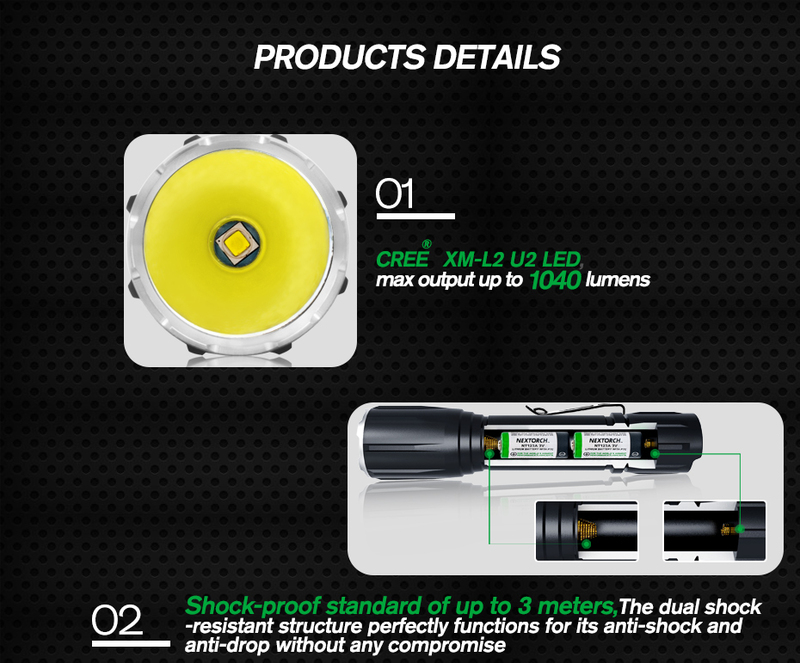 One could call it the king of single lithium-ion single core tactical flashlights. 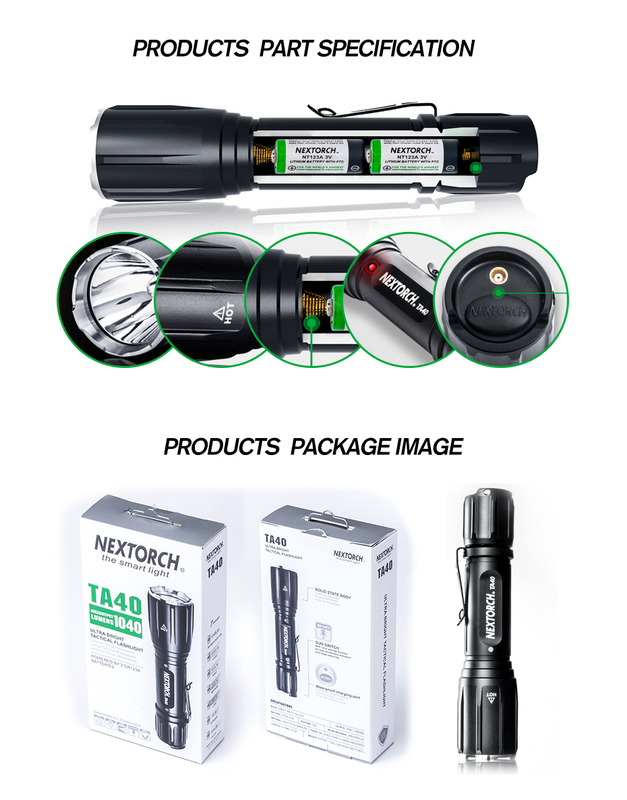 Its new and inventive user-friendly design, the meticulous craftsmanship of its construction, the ultra strong combination of functions, all make the TA40 the king of its category.